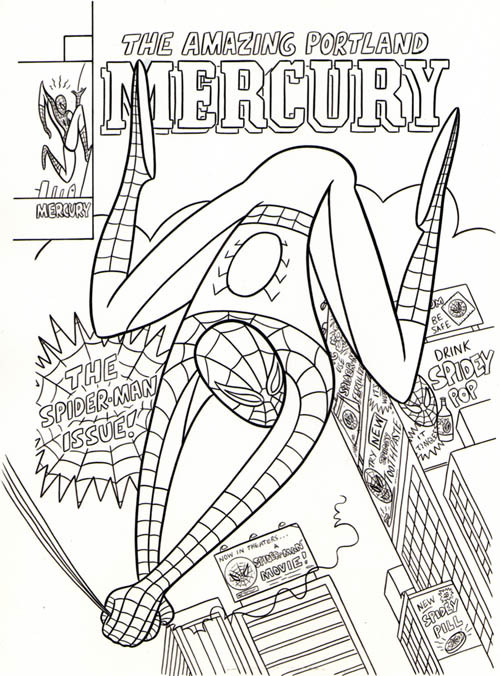 This was the cover to Portland's alternative paper The Mercury, the week the first Spider-Man movie came out back in 2002. India ink on heavyweight copy paper. Art area is approx. 8" x 11".